"The room was very nice, spacious and clean." Have a question for Hongik Jeju Hotel? "The price is really great!" "Overally it was great stay." Designed for both business and leisure travel, Hongik Jeju Hotel is ideally situated in Hallim; one of the city's most popular locales. From here, guests can enjoy easy access to all that the lively city has to offer. With its convenient location, the hotel offers easy access to the city's must-see destinations. Offering hotel guests superior services and a broad range of amenities, Hongik Jeju Hotel is committed to ensuring that your stay is as comfortable as possible. The hotel provides 24-hour room service, free Wi-Fi in all rooms, 24-hour front desk, express check-in/check-out, luggage storage to ensure our guests the greatest comfort. 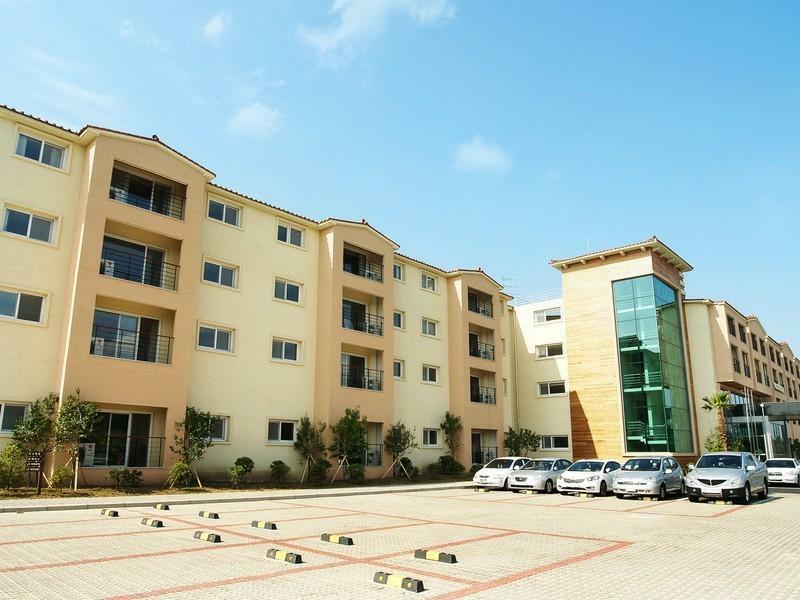 The hotel features 96 beautifully appointed guest rooms, many of which include television LCD/plasma screen, internet access – wireless, air conditioning, heating, wake-up service. Besides, the hotel's host of recreational offerings ensures you have plenty to do during your stay. 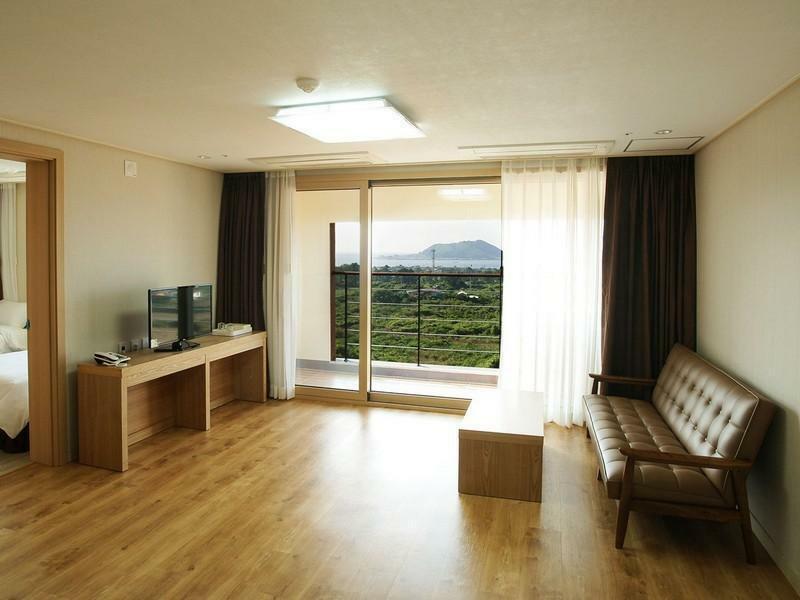 With an ideal location and facilities to match, Hongik Jeju Hotel hits the spot in many ways. "It is close to the beach and has nice view." it was compy and the location was nice for visiting Hanrim park and Hyuphae beach. Thanks for the welcoming. The price is really great! It is close to the beach and has nice view. Overally it was great stay. Spacious and Clean room. Good heating system. The room was very nice, spacious and clean. We were greeted by an unhappy guy receptionist with cigarette breathe who doesn't stay at his post all the time. We had to wait because he is smoking outside. . Also, there is no wifi in our room. When i called the front desk and asked about the wifi, he just hung up on me. Maybe he doesn't understand english. So i asked my Korean friend to call again, he said he cannot help us if there is no wifi. When the room got too warm, i opened the window to let cold air inside and smelled animal shits from outside (with the ondol heating system it would take hours to make the room cool down). Clean, Spacious room with a good view. It was a super clean hotel I have ever seen. It was simple but they have everything we need and the room was much more bigger than we thought. Ocean view was also great to look at. Absolutely value for the cost. The best about this hotel is the big and new rooms. However, there are also some problems with the hotel. For example, the beds were not made up and the hotel looked like we were visiting during off-season, even though it was peak season - the pool had no water, the restaurant worked only for breakfast, the conveninent store was partly closed. In addition, the hotel is too far to walk to the beach on a daily basis. You have to walk fast to walk 25 minutes, but there is not much interesting on the way. So, you need a car or else take a taxi for 4500 won. Hotel staff does not speak English, however, communication in mandarin was not a problem. Room was spacious equipped with stove and medium sized fridge. 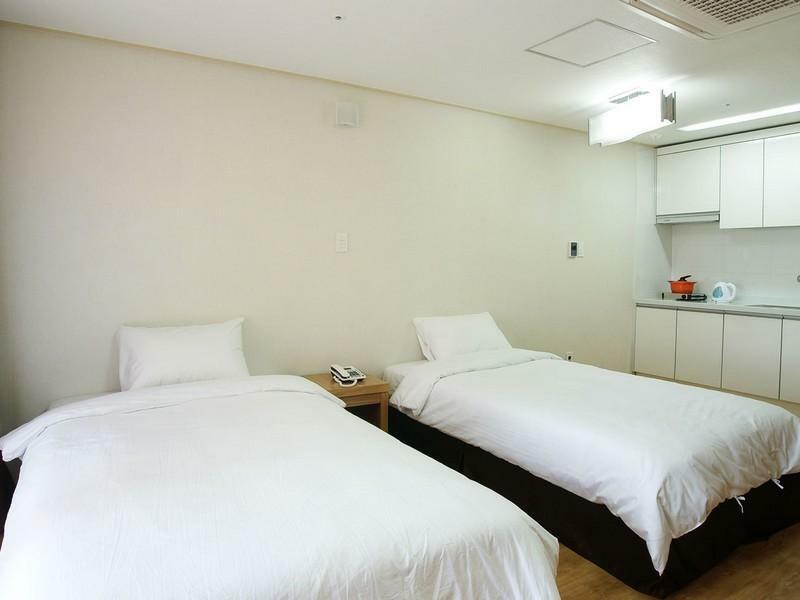 Hotel basement equipped with small convenient mart and restaurant. Hotel's location is not very convenient. It takes 20 mins walk or more to hyeopjae beach. 가격 대비 굉장히 만족스러웠습니다. 호텔이라기 보다는 리조트?에 가까운 부대시설로 객실 내 취사가능한 가스렌지 등이 있습니다. 비슷한 가격대 호텔보다 객실 공간도 굉장히 컸어요. 하루만 예약했었는데 너무 만족스러워 이틀을 묵었습니다. 협재해수욕장과도 차로 3분거리라 굉장히 가까웠고, 실외 수영장도 느긋하게 즐기기 좋았습니다. 특히 직원 서비스가 너무 좋아서 만족스럽습니다. 다만 길가에 위치해 있어 차가 없다면 이용이 어려울지 모르겠습니다. 위치가 번화가 대비 거리가 있지만 가격대비 깔끔함 만족합니다. 인근 신서귀포에 새로 지은 깔끔한 호텔들이 많으며, 특별한 경우 아닌 한 요즘 같은 경우에는 지척의 쉐라톤 서귀포도 비슷한 금액으로 나오기에 널리 비교하지 않고 덜컥 예약하면 후회가 될 수 있습니다. 차가 없으면 교통이 불편한 곳이지만 주차공간이 넓지 않은 부분도 단점으로 보입니다. 위생은 괜찮은 편, 자체 편의점 같은 매점이 있지만 구색이 적어서 일부러 편의점을 찾아 다녀 왔었습니다. 가격대비 상당히 만족합니다. 직원 친절하시고 특히 방이 넓고 베란다가 있어 실내에 있는 동안 답답한 마음이 전혀 들지않아 좋았고 조용했습니다. 지하에 작은 편의점과 간식을 해결할 수 있는 상점이 있어 괜찮았습니다. 다음 제주여행에도 다시 이용하고자 합니다. 위치는 좋아요 협재에서 가까워요. 하지만 숙소는 호스텔에 가깝습니다. 가족단위는 좋지만 커플들에겐 비추천입니다. 다만 건조대와 발코니가 있어 해수욕하고 빨래하긴 좋고 방이 넓어요. 뷰도 좋습니다. 후기에 좀 낡았다는 평을 보았는데, 제가 사용한 룸은 최근 리모델링 했는지 깨끗했어요. 가격대비 매우 만족합니다. 방도 넓직하고 좋습니다만 바닥의 위생상태는 애매 합니다. 그래도 사용하기에 힘들진 않습니다.